Roger Waters and Brian Eno among group of more than 100 artists who back New Zealand pop star's decision to cancel Israel show. A group of more than 100 artists wrote an open letter in support of New Zealand pop star Lorde’s decision to cancel a show in Israel. The letter of support by the group of artists was published on Friday in The Guardian and was a response to U.S. Rabbi Shmuley Boteach, who published a full page advertisement in the Washington Post in which he called Lorde a Jew-hating “bigot” and a hypocrite on human rights issues. “We write in support of Lorde, who made public her decision not to perform in Israel and has now been branded a bigot in a full page advertisement in the Washington Post (Report, 1 January),” wrote the artists. “Shmuley Boteach, the author and promoter of the advert, supports Israel’s illegal settlements and wrote last month on Breitbart to thank Donald Trump for ‘electrifying the world’ with his recognition of Jerusalem as Israel’s capital in defiance of international law,” they added. “He has nothing to teach artists about human rights. We deplore the bullying tactics being used to defend injustice against Palestinians and to suppress an artist’s freedom of conscience. 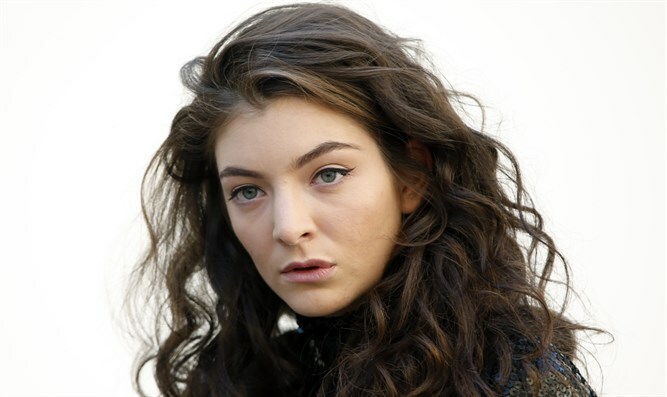 We support Lorde’s right to take a stand,” concluded the letter. Among the signatories to the letter are former Pink Floyd frontman and notorious anti-Israel activist Roger Waters, as well as British composer Brian Eno, a longtime supporter of the anti-Israel Boycott, Divestment and Sanctions (BDS) movement who in 2016 ordered an Israeli dance company to stop using his music.